Cheese and red wine is another natural match. Red wines can stand up to more pungent flavors in cheese. Stinky and richly scented cheeses are often too much for more delicate white wines. However, many richer red wines have meaty and earthy aromas of there own which can pair nicely with many types of rich cheeses. Also, their fuller body and rich structure can buffer very sharp cheeses with an intense personality. 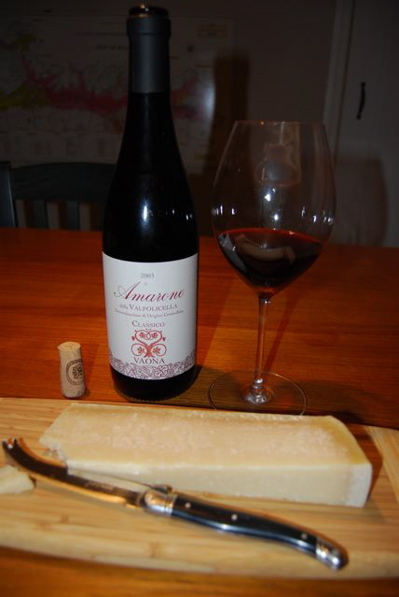 Here are some general types of red wines and the cheeses that pair well with them. As with food, try pairing wines that have similar profiles, matching richly flavored cheese and red wine that has similar, rich flavors. Also look for natural pairings from the same region, such as Italian truffle cheese (Boschetto al Tartufo) with Barolo or Barbaresco. Here are some more tips on red wine and cheese pairing. The Wines: Lighter, fruity wines include Beaujolais, Gamay and other wines with less structure and a lighter-body. While they can be richly flavored, they do not have as much weight and power in your mouth as fuller-bodied wines. The Cheeses: Look to lighter-bodied wines such as Feta, Mozzarella, Jarlsberg and Swiss. However, just because they are lighter in body doesn't mean they can't stand up to earthy or pungent flavors. Some of these wines will do well with stinky cheeses like Morbier, Muenster, and Raclette. 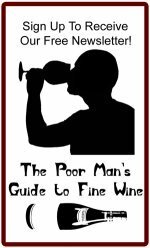 The Wines: Medium-bodied wines include some Pinot Noirs, some Italian wines, and lighter versions of Zinfandel, Merlot and others. The Cheeses: Look to slightly richer cheeses with pronounced personalities to stand up to these rich wines. Some examples are Emmentaler, Manchego, Morbier, Port Salut, Provolone, and Smoked Gouda. The Wines: Rich, full bodied wines include Bordeaux, Cabernet Sauvignon, Merlot, Zinfandel, Syrah-based wines, Shiraz, and Italian Barolo, Barbaresco, Amarone and Brunello, among others. 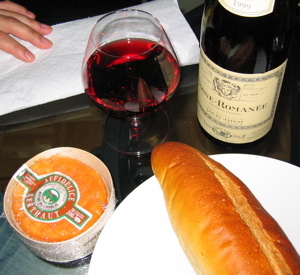 The Cheeses: More intense, sharply flavored cheese and red wine of these types make a great pairing. Some examples are sharp, aged Cheddar, aged Fontina and Gouda, Grana Padano, Parmigiano-Reggiano and Pecorino-Romano. The full flavors of the wine can stand up to the strong, salty flavor of the cheese. Even some milder blues can work, such as Blue Castello. Northern Italian wines like Barolo, Barbaresco and even Barbera are a natural match for truffled cheeses like Boschetto al Tartufo. Cheese and Red Wines that are "Stinky"
The Wines: There are many red wines that naturally have a quite pungent, meaty and sometimes even stinky aromas. While this may not sound like a good thing, in the right wine it can be a great complexity that works quite well and makes these wines unique. 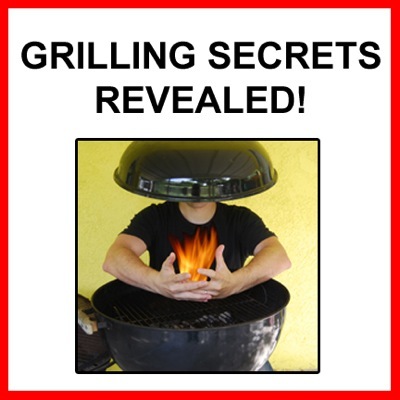 Examples can be anything from the smokey bacon and meat flavors of some Syrah-based wines. Other examples are the Burgundy "funk" of some rich red Burgundies which can be anything from meaty, to earthy to downright stinky and "barnyardy". Some southern French wines like Chateauneuf-du-Pape and Bandol can also be quite meaty and earthy as well. These flavors add a complexity that allows them to stand up to very rich, pungent cheeses as well. The Cheeses: These types of wine demand a big, rich, meaty cheese to pair with. While these pairings are not for the wine beginner who is wary of anything to intense, when you learn to appreciate them they can be some of the most delicious and hedonistic combinations of cheese and red wine. Examples of this type of cheese include washed-rind cheeses like Epoisse, Affidelice, and Pié d'Angloys. These pair beautifully with many rich, meaty red Burgundy, Chateauneuf-du-Pape and Bandol. However, because of the intensity of the smell of these cheeses, their presence at table can make it hard to appreciate the nuances of the aromas and flavors of a great wine. Fromages.com is a great website which offers dozens of the finest French cheeses right from the source. They ship perfectly ripened and stored cheeses worldwide right to your door! It is hard to find authentic French cheeses so lovingly cared for in the US, but its all available here. Their website provides descriptions and information about each cheese as well as wine pairing suggestions. You can order individual cheeses or select from their cheese boards. Done learning about Cheese and Red Wine? Return to the Cheese and Wine home page.